Been thinking about a space exploration game that would let you draw star-maps , amongst other things. 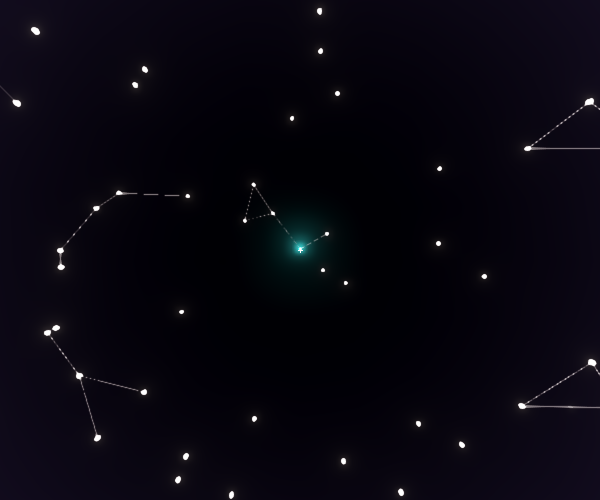 Though a full game like that would be an overwhelming task just yet for one man alone, here's at least the constellation-making part. If I ever expand on this prototype, I'd like to add naming stars and constellations, and a save/load system. No promises though. > L-Click to link stars.